Trump Regime Plot to Topple Iran’s Government? Private citizen Trump was a geopolitical know-nothing. As president, he only knows what’s fed him by hard-right regime handlers and advisers, congressional leaders, and Fox News – his favorite source for (dis)information. Pre-election and now, he knows little or nothing about Iran other than what he’s told, including by Netanyahu, wanting regime change. He’s ignorant about a nation dedicated to protecting and preserving its sovereign independence, deploring nuclear weapons, wanting them eliminated, advocating world peace and stability, and opposing US imperial rampaging. Trump’s regime change plot against the Islamic Republic perhaps began straightaway after assuming office. Demonizing a nation and its leadership as an existential threat precedes all US wars and color revolutions for regime change – supported by media scoundrels instead of responsibly denouncing the scheme. He lied saying when JCPOA provisions sunset, “Iran will have an industrial-size military nuclear capability ready to go.” He lied claiming the deal lets Iran go nuclear. All of the above and other hostile comments on Iran are polar opposite hard truths about the country and its leadership. Trump regime destabilization tactics followed hostile rhetoric toward the Islamic Republic. In January, 2018, made in the USA and Israel protests erupted in Tehran and other Iranian cities. They didn’t happen spontaneously. They were manufactured needing leadership. Color revolutions are a US specialty, numerous ones staged earlier. Some succeeded. Others failed, including the 2009 green revolution attempt for regime change in Iran. Staged protests in the country last January followed a Trump/Netanyahu agreement to confront Iran’s leadership, wanting pro-Western puppet rule replacing it – what color revolution attempts are all about. Failure of the Obama regime to deliver on JCPOA promises contributed to Iran’s economic woes, exacerbated under Trump’s hardline agenda toward the Islamic Republic, aiming for regime change. Secretary of State Mike Pompeo called for imposing “the strongest sanctions in history” on the country if it fails to comply with outrageous US demands no responsible leadership anywhere would accept. Trump’s May 2018 JCPOA pullout appeared part of a regime change plot against the country. Nuclear related sanctions will be reimposed on August 4. Other JCPOA-related sanctions will be reimposed on November 6 – targeting Tehran’s energy sector, petroleum related products, and central bank transactions. 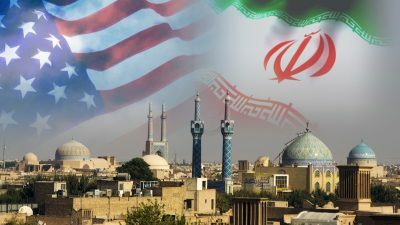 The Trump regime’s plot aims to isolate Iran politically and economically, notably attempting to block its oil sales, access to hard currencies and foreign investments, along with imposing harsh sanctions and overall financial hardships on the country – part of a regime change plot. His address launches another Trump regime campaign to stoke unrest in Iran, aiming to topple its government. According to National Iranian American Council research director Reza Marashi, Pompeo’s Sunday address has nothing to do with promoting democracy in in the country, everything to do with wanting pro-Western puppet rule replacing its sovereign independence. The plot is familiar. It played out many times before. Iran is resilient. It withstood nearly 40 years of US efforts to topple its government. A US/Israeli joint working group was formed to encourage destabilizing protests in Iran, a likely softening up process for tougher regime change tactics to follow. A so-called “white paper” circulated among Trump’s National Security Council officials. It reportedly discusses a strategy for toppling Islamic Republic governance – aiming for driving “a deeper wedge between the Iranian people and the ruling” authorities. He praised Iran’s Islamic Revolution Guards Corps (IRGC) for protecting the country against enemy plots. Iran is a formidable adversary if attacked. Another US color revolution attempt won’t like fare better than earlier ones. War if launched by the Trump regime, perhaps with Israeli involvement, would be disastrous for the region. Featured image is from The Duran.